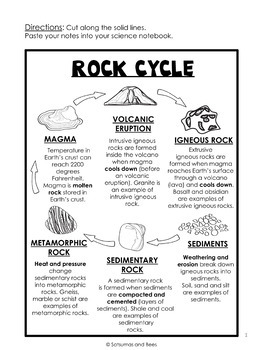 10 rock cycle anchor charts and 2 mini-anchor charts are included in this packet. 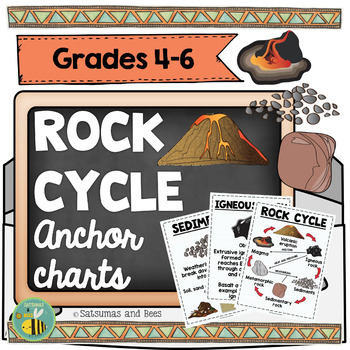 These anchor charts are perfect for grades 4-6. ★ Anchor charts are a staple in my classroom. 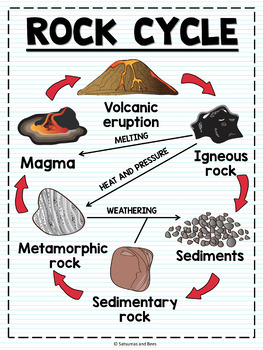 I use them for all subjects and particularly during science activities. They are used in an effective manner to support my students’ instruction and keep them engaged. I like to create my anchor charts with my students but also like to use pre-made anchor charts that will be completed with them throughout the school year. ➜ Please take the time to look at the preview to have an idea of what is included. Files are .pdf. 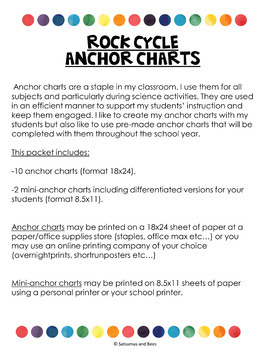 ✔ 2 mini-anchor charts including differentiated versions for your students (format 8.5x11). ▶ If you like this product, please leave some feedback so I can get back to you :). You will also receive FREE credits towards your future purchases. ▶ You may blog about this activity but please link back to my store. Copyright © Satsumas and Bees. All rights reserved by author. Not for public display. For personal use only. This product is to be used by the original downloader only. Failure to comply is a copyright infringement and a violation of the Digital Millennium Copyright Act (DMCA).